I love reading books about familiar places. 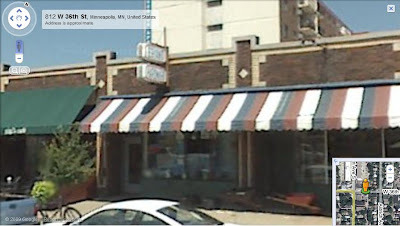 I once lived in St. Paul, and Julia Gillian lives in south Minneapolis. That’s like the same thing, right? Aren’t they Twin Cities? Okay, maybe not, but I did spend four years in the general vicinity. 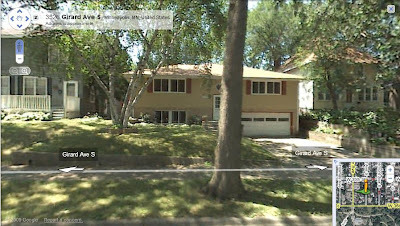 So when Julia Gillian, in the summer between fourth and fifth grade, travels around her neighborhood, it’s easy for me to imagine where she’s headed*. She walks to Bryant Hardware, across the street from Our Kitchen, on 36th Street, and onto Girard Avenue where a sign reading DOGS! PLEASE HELP YOURSELVES! rests beside a water bowl under a birch tree in a kindly person’s front yard. She does all of this under the strict parameters set forth by her parents. These parameters – look both ways, no strangers, no farther than nine square blocks, and take Bigfoot, her St. Bernard – are enforced by Enzo, Julia Gillian’s eighteen-year-old friend and downstairs neighbor. This summer Julia Gillian’s parents, both teachers, are taking graduate courses and study much of the day, so she has plenty of time for travel. This summer is full of challenges. Her parents are incredibly busy with school, and there is little time for picnics at the Lake Harriet Rose Garden. She needs to master the claw machine in the back of Bryant Hardware. She seeks to understand her parents’ interest in the wider world, when the wider world only seems to contain bad news. And she needs to finish the green book despite what she believes…knows…will happen to the boy’s old dog. 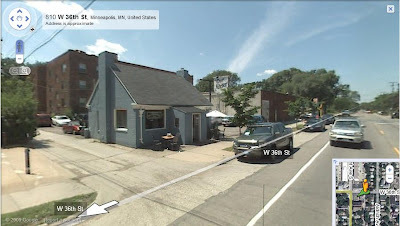 Julia Gillian and her family travel to more places in south Minneapolis like Quang Vietnamese Restaurant on 28th and Nicollet and Magers & Quinn Booksellers on Hennepin. Of course this will resonate more with readers who have local connections, but the natural description of Julia Gillian’s neighborhood coupled with the realistic concerns of the fourth/fifth grade mind make Alison McGhee’s book an enjoyable read. Bryant Hardware, home of the claw machine. Our Kitchen, where Julia Gillian and her father sometimes go for pancakes. It's the only birch tree I found on Girard Avenue! 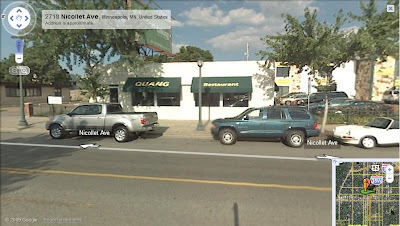 Quang Vietnamese Restaurant - The best eggrolls in Minneapolis. 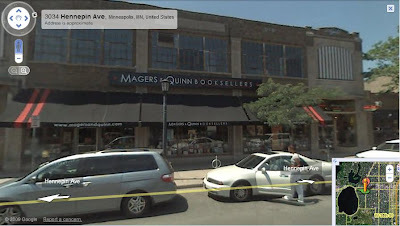 Magers & Quinn Booksellers, where Julia Gillian got the green book.